The proverbial �last straw on the camel�s back� came on January 17 this year when the Department of Customs issued a notification imposing customs duty on aircraft as well as any other equipment brought into the country for static or flying display at Aero India 2019. Although the customs duty paid is refundable when the aircraft or equipment is moved out of the country after the Airshow, the recent notification actually translates to heavy and unproductive investment for the companies involved and the frustrating hassles they may have to go through in claiming refund after the event. The participating companies already pay exorbitant charges for registration, booking of space to set up their pavilions, chalets and other facilities resulting in very heavy financial burden. 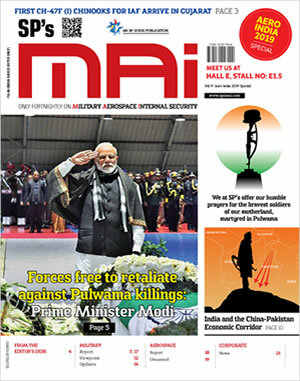 The imposition of customs duty for participants from abroad in Aero India 2019 at the last minute, is somewhat odd as all exhibitors in the previous four editions of Aero India Airshow had been exempted from this unwarranted financial burden. Also, exemption of customs duty is a practice followed for all major Airshows around the world.